What's behind the name, anyway? By KATHRYN VASEL CONTRIBUTED TO THIS STORY. People shop at Macy's department store on "Black Friday" on November 23, 2017 in New York City. Black Friday starts earlier in the season on Thanksgiving Day instead of the Friday after. 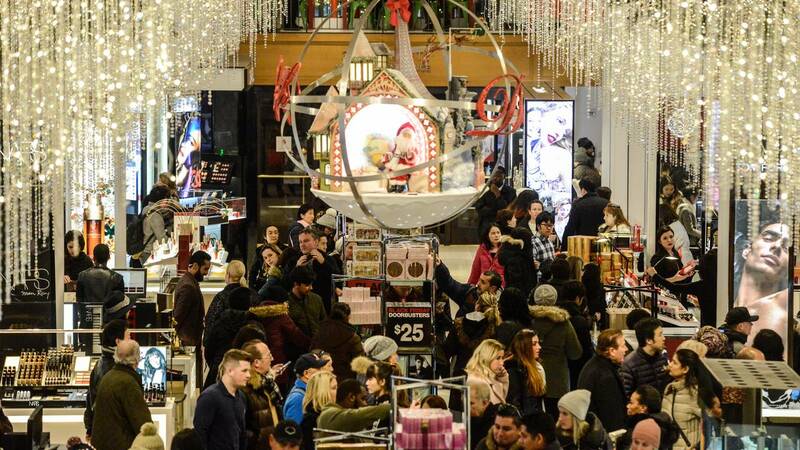 (CNN) - Chances are, you or someone you know is getting ready to shop on Black Friday. It's one of the most important shopping days in the United States, but, despite a common perception, the name has nothing to do with red or black ink on a merchant's balance sheet. "It was a double whammy," Taylor-Blake previously told CNN. "Traffic cops were required to work 12-hour shifts, no one could take off and people would flood the sidewalks, parking lots and streets. The cops had to deal with it all and coined the term." City merchants also started to use the term to describe the long lines and shopping mayhem at their stores. "It became this comical reference to downtown Philadelphia following Thanksgiving." In 1961, the idea of re-branding the holiday to "Big Friday" was floated so that one of the biggest days in shopping wouldn't carry a negative connotation. But that didn't catch on. Cyber Monday has exploded in popularity since then. Last year, Adobe said it racked up $6.59 billion in sales -- making it the largest ever online shopping day in the United States.